Darksteel Brute is indestructible. ('Destroy' effects and lethal damage don't destroy it.) 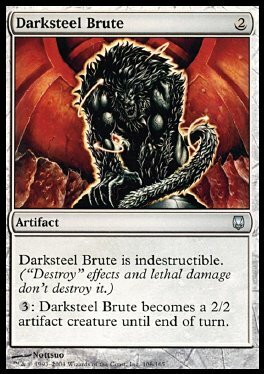 3: Darksteel Brute becomes a 2/2 artifact creature until end of turn.